The 2015 annual meeting of the Atlantic Region Philosophers’ Association is being hosted by St. Thomas University and the University of New Brunswick. It will take place on October 30-31st. The theme of this year’s meeting is: The Relevance of Philosophy. 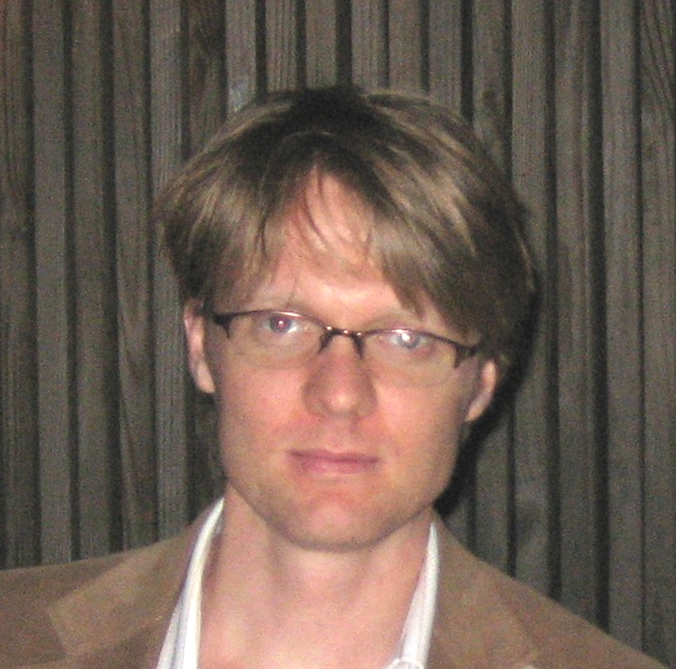 Andrew Chignell is Associate Professor of Philosophy at Cornell University’s Susan Linn Sage School of Philosophy, with secondary appointments in German Studies and Religious Studies. He received his doctorate in philosophy and religious studies from Yale University, and is the recipient of numerous fellowships, recently the ACLS Frederick Burkhardt Fellowship for Recently Tenured Scholars. He works primarily in 17th-18th century philosophy (especially Kant), epistemology, aesthetics, and philosophy of religion, and has also written on hope, acceptance, and the ethics of belief. He has published articles in numerous professional journals including Philosophical Review, Mind, Noûs, Australasian Journal of Philosophy, and Philosophical Quarterly and co-edited a book on religion and the ethics of belief with Cambridge University Press. He has co-edited several volumes, and his book on Kantian conceptions of hope, What May I Hope? Answers to a Kantian Question is forthcoming as part of Routledge’s Kantian Questions series. He is co-director with Samuel Newlands (Notre Dame) of a 3.8 million dollar Templeton Foundation grant on the topic of “Hope and Optimism: Conceptual and Empirical Investigations.” This year he is also a fellow at the Center for Advanced Studies in the Behavioral Sciences at Stanford University. 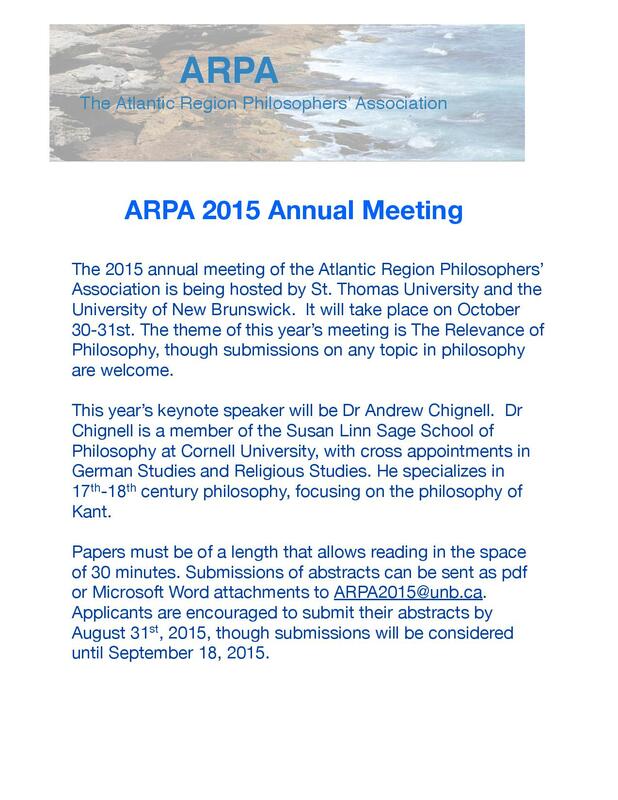 Any questions about the conference can be sent to ARPA2015@unb.ca. The Atlantic Region Philosophers’ Association was formed in 1970 to foster research and scholarship within the philosophical community in Atlantic Canada. Its main function is to hold an annual conference where Atlantic Canadian philosophers (and visitors) can discuss their work.